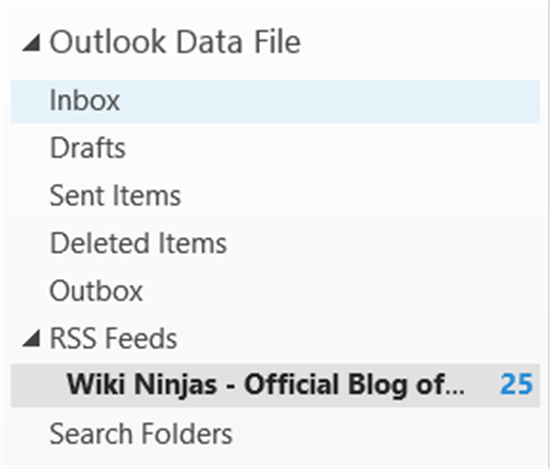 This article will show you how you can monitor the Wiki Ninjas blog within Outlook 2013 using a Really Simple Syndication (RSS) feed. Right-click the RSS Feeds link on the left hand side and select Add a New RSS Feed. The New RSS Feed dialog box will appear. 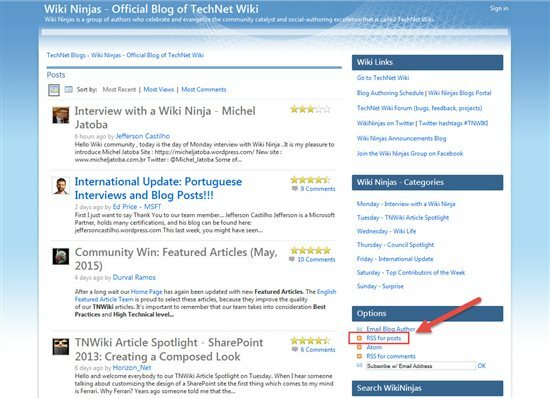 Open a web browser and navigate to the Wiki Ninjas blog. Click the RSS for posts link under Options. The blog’s RSS feed will appear in a new browser window. Copy the RSS Feed URL. 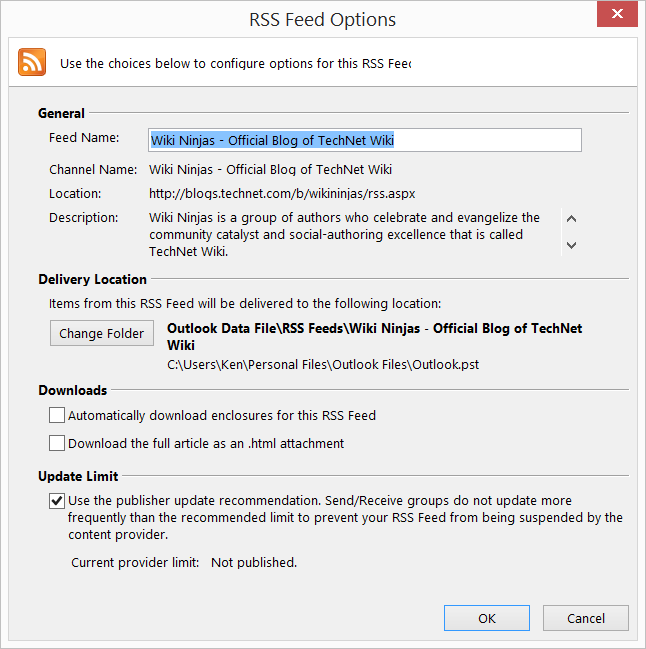 Paste the RSS Feed URL into the New RSS Feed dialog box. Click Add. Click Yes to accept the default settings. Click Advanced to modify the settings. Changing the Feed Name will modify the name that appears in Outlook under RSS Feeds. Use Change Folder to modify where the RSS feed will be housed. Click OK to add the feed to Outlook. 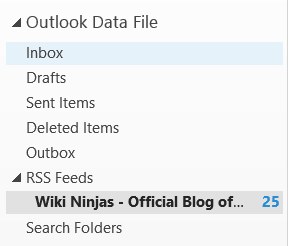 The latest 25 RSS posts will then download into Outlook.